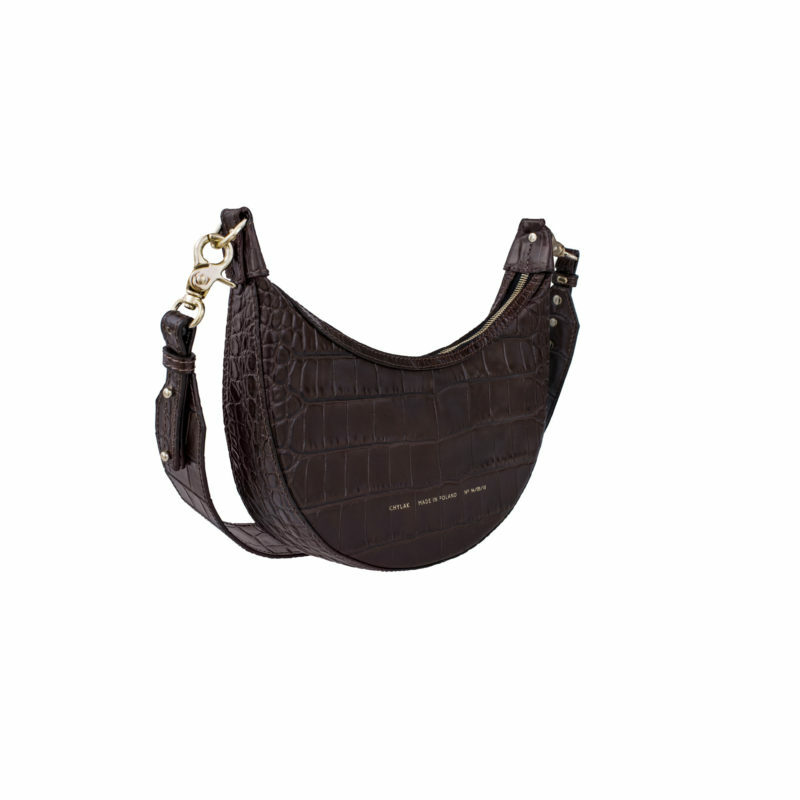 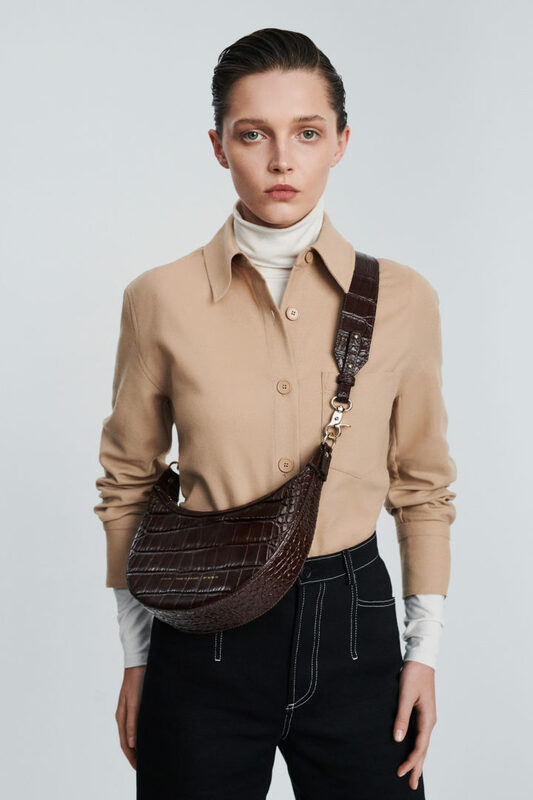 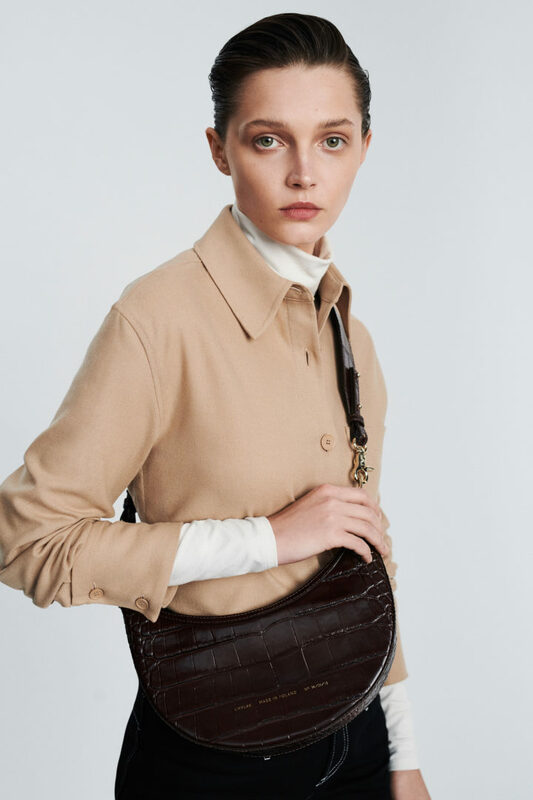 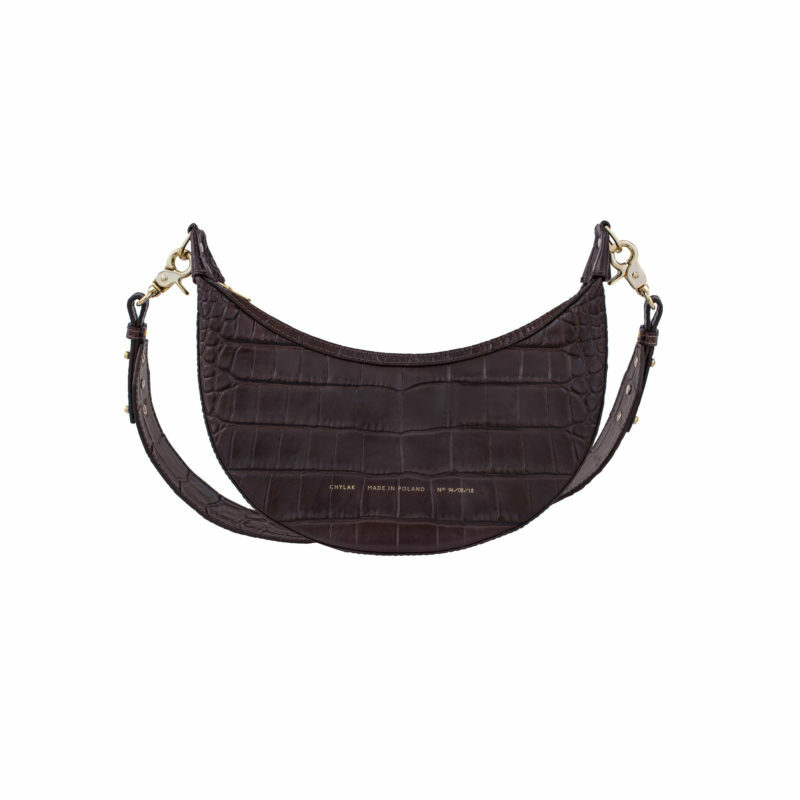 “Croissant” bag made of glossy brown crocodile-embossed leather. 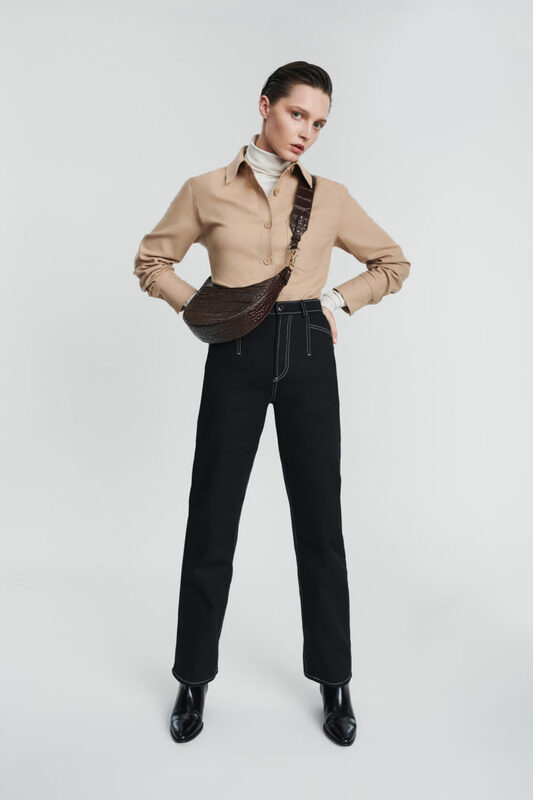 Gold zip fastening along the top. 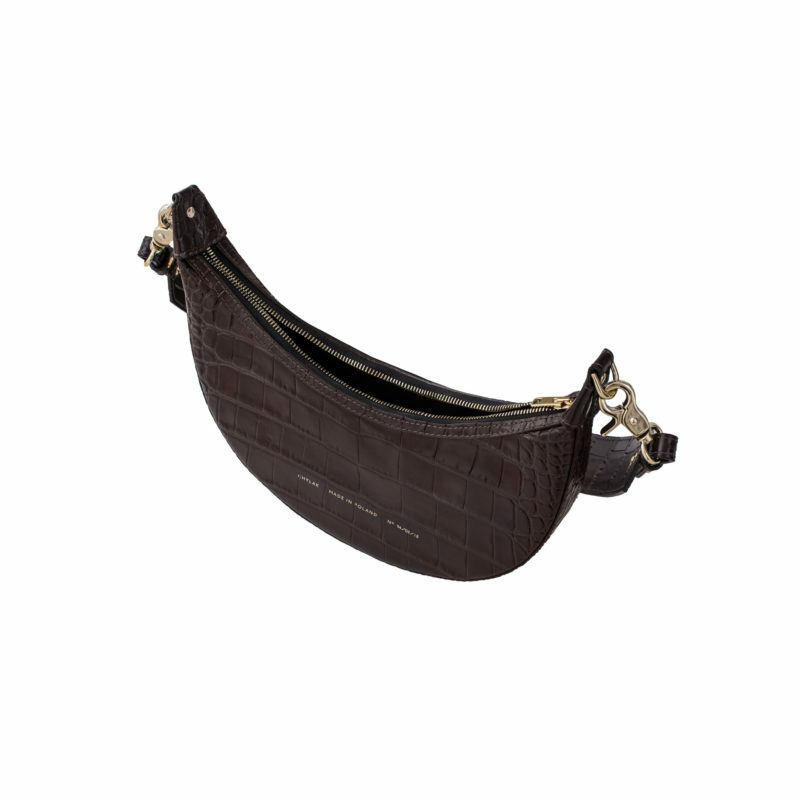 Interior finished with black cotton lining. 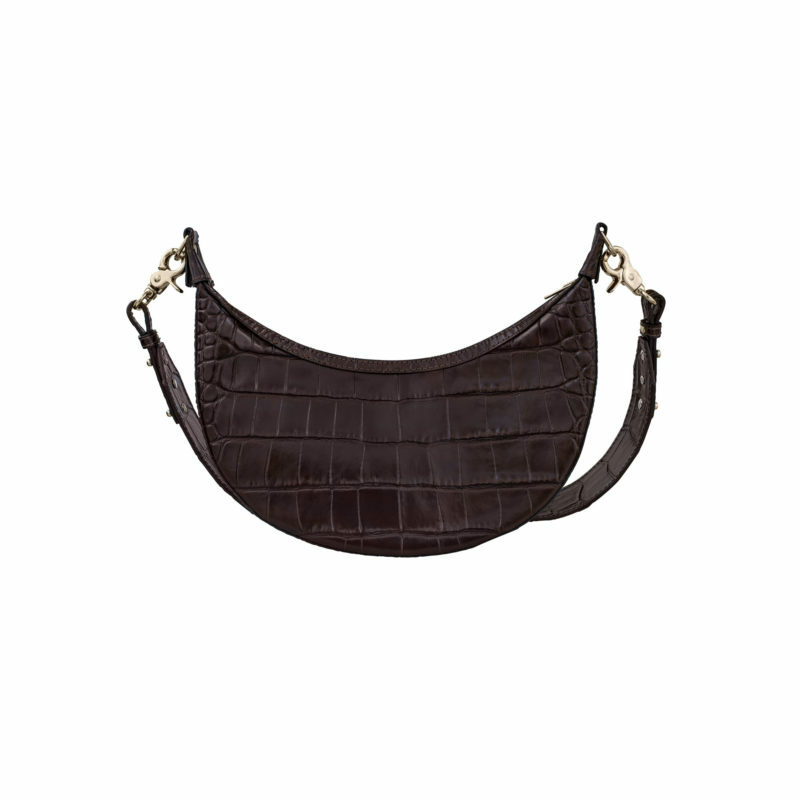 Wide shoulder strap (detachable and adjustable). 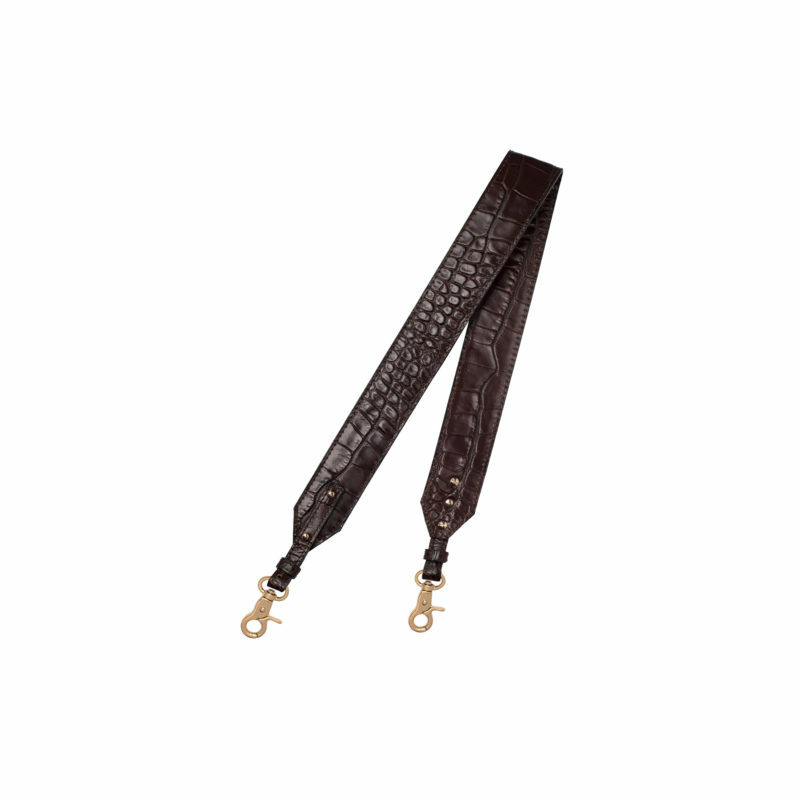 Series number hand-stamped in the front in gold.